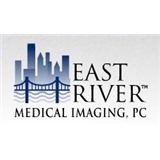 East River Medical Imaging, PC (New York) - Book Appointment Online! Since 1970, East River Medical Imaging has been a leader in providing state-of-the-art diagnostic imaging. The physicians, technologists, and support staff who make up this premier practice are pioneers in blending advanced technology, extensive clinical expertise and superior provider and patient care. Everyone at East River Medical Imaging is committed to offering our patients and referring physicians the best service and technology available. All of our radiologists are certified by the American Board of Radiology and all of our neuroradiologists have received certificates of added qualifications in neuroradiology. Whether you are a patient or a referring physician, you will appreciate the advantage of our subspecialty expertise to help provide the most accurate possible reads. East River Medical Imaging's mission is to consistently provide the highest quality and availability of diagnostic imaging with compassion and comfort for our patients. Very professional. Everyone was really nice. Arrived early and even went back early! I'll be back for any other imaging needs.